For the past several years, the HathiTrust and five of its member universities have been engaged in litigation after being sued by the Authors Guild. On January 6, 2015, the parties entered a settlement on the sole issue remaining before the district court, ending the litigation in a victory for HathiTrust and fair use. In its litigation, the Authors Guild alleged that HathiTrust Digital Library’s (HDL) digitization of works for the purposes of use in a full-text search database, providing access to the print disabled, and preservation, as well as the Orphan Works Project developed by the University of Michigan, constituted copyright infringement. The Orphan Works Project was abandoned and not considered ripe for adjudication, while the other issues advanced. The district court found in favor of HDL’s motions for summary judgment on the remaining three issues. Second Circuit rightly concluded that HDL’s activities are protected by fair use, ensuring the ‘safety valve’ of fair use is well-functioning and providing meaningful balance through limitations on the copyright holder’s rights. 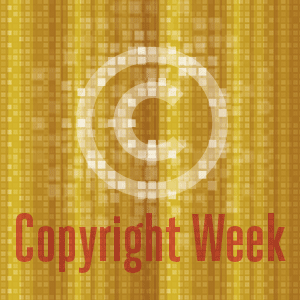 Fair use has long been relied upon to provide important protections for the public and promote new and transformative uses of copyrighted works, such as those facilitated by HDL. Summaries and analysis of the Second Circuit’s opinion available here and here. Ultimately, the Authors Guild v. HathiTrust saga ended in a strong victory for fair use as the Second Circuit opinion will now stand. The library community applauded this opinion when it was released. The opinion had a number of notable implications. It strongly affirmed the use of mass digitization for purposes of facilitating fair uses (such as creation of a full-text search database or access for the print disabled). The Second Circuit also endorsed a “functional transformation” approach in conducting its fair use analysis, finding that a use is transformative if the works is used for a significantly different purpose than its original market purpose. Additionally, the Second Circuit, in a quick footnote, rejected the Authors Guild’s repeated claims that Section 108 of the Copyright Act restricts fair use. Because providing full-text search capability justifies the creation and maintenance of a database of text files, a library could create and maintain a database of text files if the library provided full-text search capability of those text files. Likewise, because access to the print disabled justifies the creation and maintenance of a database of image files, a library could create and maintain a database of image files if the library provided the print disabled with access to those image files. Additionally, the library could create appropriate backup copies of these databases. HathiTrust’s press release on the resolution of the litigation is available here. This entry was posted in Uncategorized and tagged accessibility, copyright, digitization, fair use, HathiTrust, mass digitization, print disabled, second circuit, tdm, text and data mining on January 8, 2015 by Krista Cox. Watch Jonathan Band speak on what the decision in Authors Guild v. HathiTrust means for libraries. This entry was posted in Uncategorized and tagged Authors Guild, fair use, HathiTrust, libraries on September 18, 2014 by admin. Jonathan Band of policybandwidth recently released an analysis of the Second Circuit’s opinion in Authors Guild v. Hathitrust and what the decision means for libraries. His analysis is available here. The library community welcomed the decision of the U.S. Court of Appeals for the Second Circuit in Authors Guild v. HathiTrust, __ F. 3d __, 2014 WL 2576342 (2nd Cir. 2014). The decision has implications for libraries that go far beyond the specific facts of the case. This paper offers some preliminary thoughts on what these implications may be. This entry was posted in Uncategorized and tagged Authors Guild, HathiTrust, libraries on July 7, 2014 by admin. On June 10, 2014, the Court of Appeals for the Second Circuit affirmed the lower court decision in Authors Guild v. HathiTrust in favor of HathiTrust Digital Library’s (HDL) motions for summary judgment, finding that two of the three uses by HDL (creating a full-text search database and providing access to the print disabled) constituted fair use and remanding the issue of the third use (preservation) back to the district court to determine the standing of the plaintiffs to bring the claim. The Second Circuit began its fair use analysis by noting that while the Copyright Act certain exclusive rights, “there are important limits to an author’s rights to control original and derivative works. One such limit is the doctrine of ‘fair use,’ which allows the public to draw upon copyrighted materials without the permission of the copyright holder in certain circumstances.” The court then detailed numerous examples of fair use that have been upheld by various courts, including district courts, appellate courts and the Supreme Court of the United States before going through the three HDL uses at issue. The court noted that the second factor evaluates the nature of the work and recognizes a greater need to disseminate factual works than fiction. The court first evaluated whether HDL’s full text search constitutes fair use. The court explains the program, noting that the Libraries create digital copies of the entire books, but HDL does not allow viewers to view any portion of the books searched, but only to identify where a search term appears in a particular book. In evaluating the four fair use factors, the court concluded that three of the four factors favor fair use and upheld the district court’s determination that the full-text search constitutes fair use. The Second Circuit found that the full-text search is a “quintessentially transformative use” as it is “different in purpose, character, expression, meaning, and message from the page (and the book) from which it is drawn.” The court further noted that the full-text search is more transformative than other uses previously upheld as fair use by the Second Circuit as well as other circuits. With respect to the second factor, the court did not find it to be dispositive, noting that this factor may be limited in value where a creative work is being used for a transformative purpose. Turning to the third factor, the Second Circuit pointed to precedent that copying a work in its entirety is sometimes necessary. It found that it was “reasonably necessary” for HDL to copy the entirety of the work in order to enable the full-text search function. Accordingly, this factor weighed in favor of HDL. Discussing the fourth factor, the Second Circuit reminded that the analysis “is concerned with only one type of economic injury to a copyright holder: the harm that results because the secondary use serves as a substitute for the original work.” Here, the Second Circuit rejected the contention that market harm has occurred finding the full-text search does not substitute for the original. The court stated that it is therefore “irrelevant” that libraries may be willing to pay licensing fees to enable this type of transformative use. The court also rejected the plaintiffs’ suggestion that the risk of a security breach would impact the market, noting that HDL undertook extensive security measures and it could find no basis to assume such a breach would occur. Consequently, the fourth factor weighs in favor of fair use and, taken together, that the overall analysis of the four factors results in a finding that the full-text search database is fair use. Turning to HDL’s use of the works to facilitate access to the print disabled, the Second Circuit concluded that this use is also protected under fair use. With respect to the first factor, the Second Circuit rejected the district court’s finding that creation of accessible format works is transformative. The Second Circuit equated the creation of an accessible format with a derivative work, but notes that even absent a finding of transformative use, a defendant may still satisfy the first factor. In finding that the first factor favors access to the print disabled, the Second Circuit first quoted the Supreme Court’s decision in Sony Corp of America which stated that “Making a copy of a copyrighted work for the convenience of a blind person is expressly identified by the House Committee Report as an example of fair use, with no suggestion that anything more than a purpose to entertain or to inform need motivate the copying.” The Second Circuit also pointed to legislative history of the Section 107 of the Copyright Act, the enactment of the Section 121 of the Copyright Act, also known as the Chafee Act, and Congressional concern for the disabled reflected by the passage of the Americans with Disabilities Act, as evidence that the first factor weighs in favor of fair use. While the court found that the second favor weighed against fair use, it noted that such a finding is not determinative in the fair use analysis. Turning to the third factor, the court found it reasonable for HDL to retain text and image copies to facilitate access to the print disabled. It noted that the text copies are necessary to enable text-to-speech capabilities, but that the image copies are also of use and value for disabled patrons. Finally, the court found that the fourth factor weighs in favor of a finding of fair use, noting that the market for accessible format works is insignificant and publishers generally do not make their books available in specialized formats. Evaluating the four factors together, the Second Circuit found that providing access to the print disabled constitutes fair use. The Second Circuit declined to rule on the issue of whether HDL’s storage of digital copies for preservation constitutes fair use on the basis of lack of standing or live controversy. The court stated that the record before the district court did not demonstrate whether the plaintiffs own copyrights in the works where a replacement copy would be unobtainable at a fair price and thus subject to copying by the Libraries for the purpose of creation of a replacement copy in case of loss or destruction. The court stated that “[b]ecause the record before us does not reflect the existence of a non-speculative risk that the HDL might create replacement copies of the plaintiffs’ copyrighted works, we do not believe plaintiffs have standing to bring this claim, and this concern does not present a live controversy for adjudication.” The Second Circuit thus vacated the district court’s judgment regarding this issue and remanded the standing issue to the district court. In remanding this issue back to the district court, the Second Circuit did not suggest that preservation could not be considered fair use, but instead simply expressed skepticism that the plaintiffs had standing to bring this claim. This entry was posted in Uncategorized and tagged Authors Guild, copyright, digital library, fair use, hathi, HathiTrust, libraries, Visually Impaired on June 10, 2014 by admin.